I bought the 1998 Widescreen version a few years ago. Recently I tried playing it and it was unplayable. I called Disney up and they sent me a replacement after I sent my dvd back. They sent me back the fullscreen version. I called them back to tell them they sent me the fullscreen version but the cs insists that even though it doesn't say widescreen on the cover it is the widescreen version. 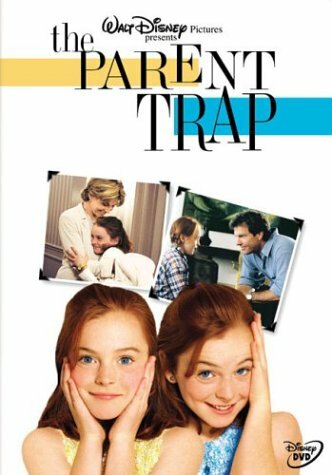 She said they never made a fullscreen version of the Parent Trap (1998). I don't have the dvd in front of me now but I remember looking at the back and seeing "This film has been fomated..." (aka fullscreen). Can anyone verify either way ? i am not sure about that particular dvd, but buena vista did drop the widescreen banner after joe six pack stopped buying the widescreen disc....this was an attempt to get the average joe not to pass on a Widescreen copy. Remember the titans and tombstone among others also did this. I don't recall ever seeing a full screen copy of the film. Cameron is right. There has never been a fullscreen version DVD of this film. Have you actually tried playing the replacement disc? No, because the disc was a floater as well, so I didn't want to open it. I did look closely at the back and it is indeed widescreen.